We came across homeless Jamie and Butch begging in Reading Town centre (SE England) a few weeks ago. We heard them rather than saw them, as at the time Butch was giving a passer by a good telling off, as only a chihuahua can do. Butch is a stunning little dog, and being chihuahua-biased we had to go and find out more about them both. A couple of weeks later I caught up with Jamie again and we went and had a coffee. Jamie begs outside John Lewis and EE depending on who else is out on the street. Not everyone who begs is homeless, but Jamie tells me he has been sleeping in the doorway of John Lewis and is hoping for a place at St Mungo’s homeless shelter. Jamie is 26, and underneath the woolly hat and beard is a good looking young man that could be anyone’s son. He is polite and possibly a bit shy. So how does a young man with his whole life ahead end up sitting in the doorway of a shop hoping that people will give him enough money to get by on? Jamie went to school locally and has lived here as a child, but like many homeless people, a chaotic home life and mental health issues takes it toll of a fragile family unit before it breaks down completely. Jamie left school without gaining any qualifications, spent some time in foster care and then in hospital after a mental breakdown. He tells me he was helped by the Launchpad project in Reading (an organisation that helps with homelessness) and did have housing for a while but his mental health deteriorated and he was unable to engage in the programme and he ended up back on the streets again. Jamie admits it was a missed opportunity to get back on track. I asked him what role alcohol and drugs had played in his problems. He doesn’t drink he assures me and hadn’t smoked weed for over five years. When I asked if smoking weed had contributed to his mental health problems he confesses that maybe it had. But he was confident that his mental health had improved and he was reducing down his meds. 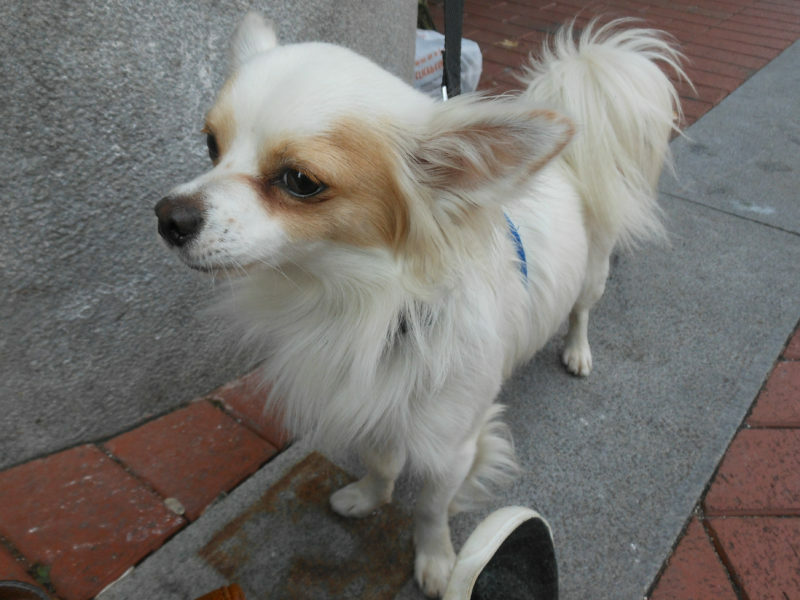 Butch the chihuahua is around one-year old, and is a stunning little dog. 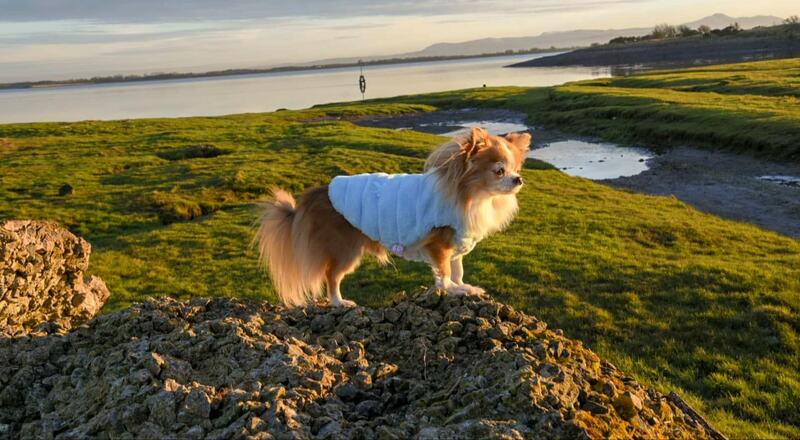 Full of personality and the usual chihuahua spirit that anyone who owns a chi will recognise. He regularly barks at passers-by, people with umbrellas and children in pushchairs. He certainly needs some training. I can’t help but think that Butch might be hampering Jamie’s donations as Butch often sounds anything other than grateful when people approach. Jamie laughed and agreed that he did do better before he had Butch. But like most chihuahuas most of it is bravado, and when you sit down with him he is in your lap and enjoying a scratch behind the ears. He seemed a bit thin but lively and in good health. The Blue Cross sometimes help with any medical problems but luckily so far, Butch hasn’t needed any. It seems the focus of their day is to get enough money from begging to be able to afford to stay overnight at the Gorge bed & breakfast in Caversham, £20 per night and you get breakfast. If they don’t raise enough then they sleep in doorways. When it’s cold Butch snuggles down under his coat in the sleeping bag. I asked what the main issues were of life on the street. Jamie said it was, getting to sleep, having your stuff stolen and boredom. Butch gets bored as well which is why he barks so much. But in general people were kind and he often had enough to eat. And what would his answer be to people who said he shouldn’t have a dog if he can’t look after himself? So, what was he hoping for in the future? On the way home as I drive down past the Majenski Stadium, I looked at all the new flats and apartments being built. In my head I can see Jamie pottering around the kitchen cooking his tea and I want that for him too. Previous Post Does Your Chihuahua Smile and Laugh?